I’m Giving Away a BLACK+DECKER 20V Cordless Drill and Circular Saw! I spent the weekend at my parents’ place, helping them with some budget-friendly home improvements as my Father’s Day gift. We painted the kitchen walls and trim a beautiful blush pink, plus we prepped the cabinets for painting and got three coats of a gorgeous pale grey on the lower kitchen cabinets. We still have to paint the uppers but, for a bonus round, we even installed curtain rods my Mom has been wanting to hang up for three years! We were seriously productive. BLACK+DECKER sent me their new 20V MAX 1 Speed Cordless Drill and my Dad and I were both anxious to try it out. 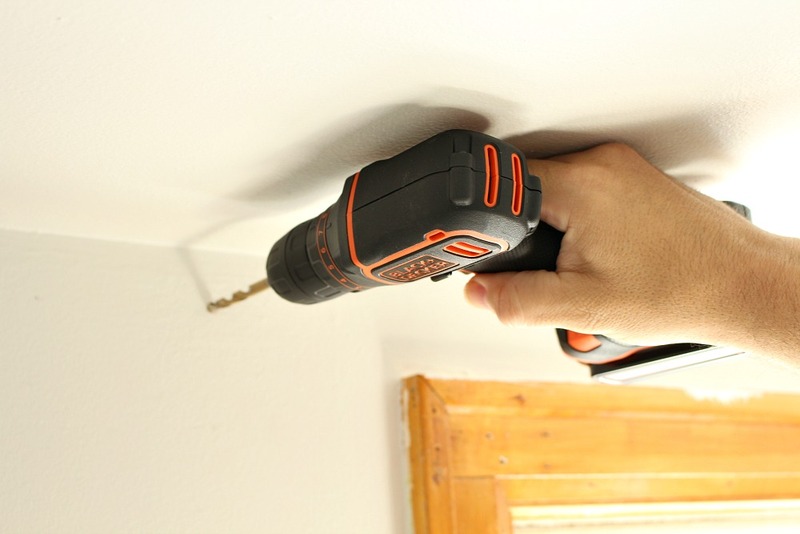 Did you know that BLACK+DECKER invented cordless drills in 1961? I thought that was a neat bit of history! 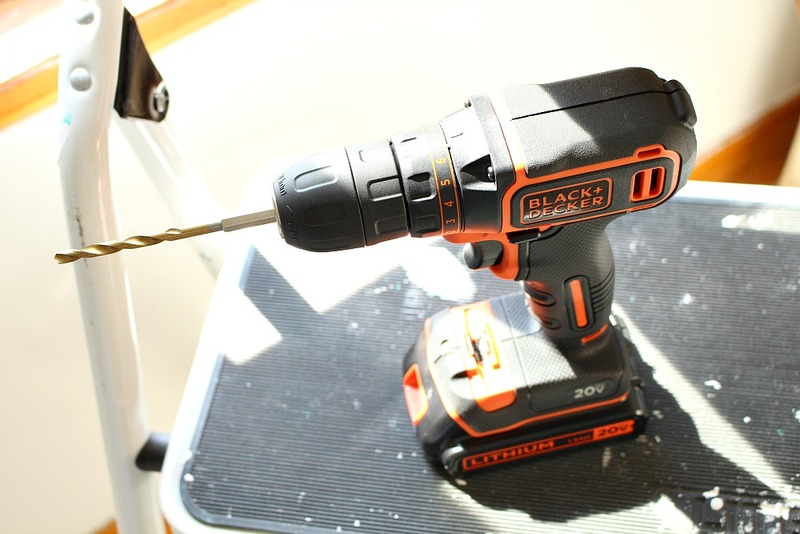 The BLACK+DECKER drill is lightweight and compact, so it was really easy to use. We decided to install the curtain rods pretty close to the ceiling and it was perfect because other drills wouldn’t have fit! My Dad loved the BLACK+DECKER 20V Cordless Drill and was SO pumped when I said he could keep it. There is a lot to like about this drill, in addition to its compact size. It’s lightweight, which makes it easier to get more done before needing that sundae break! It’s a 20 volt, which has more torque than my Dad’s previous drill, a 14.4 volt (which is actually an older BLACK+DECKER model). You can easily buy a second battery for this drill and charge one while using the other – which is awesome for those DIY projects that drag on forever. There’s a light which shines on the task at hand, which helps illuminate in dim lighting conditions; sounds like a corny thing until you try it – it quickly becomes an indispensable feature! There’s also a two-speed available. I had to take my photos quickly because my Dad swiftly absconded with this drill, excitedly chatting about how well it fits in a compact toolbox for jobs on the go. We’re planning to tackle a lot of projects this summer! I’m hoping for one of those delightfully long summers that stretches on into the fall. Is that too much to ask for? If you’re keeping busy too, you might want a couple of new tools to add to your toolbox! I’m giving away a BLACK+DECKER 20V MAX Lithium Cordless Drill AND a BLACK+DECKER 20V MAX Circular Saw to one lucky Dans le Lakehouse reader! Entering is easy! 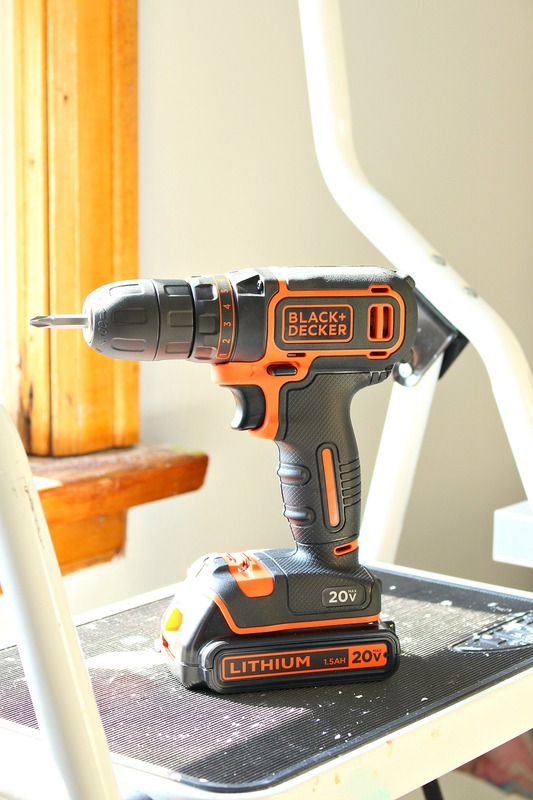 Take a peek at the BLACK+DECKER 20V MAX Cordless Drill and let me know what project you’d want to tackle with it first! Leave a comment below – that’s it! Congratulations, Amy!! I’ll be sending you an email shortly. Thanks so much to everyone who entered! I really wish I had a 100 of these to giveaway, so you could all win. But I loved reading about all of your summer projects – thanks so much for sharing and entering. If you’ve left your email or any personal info, you’re welcome to remove your comment. This post is sponsored by BLACK+DECKER but all content and opinions expressed are my own. I'm the handy one in my family so this would be great for all the projects I need to do and never seem to get done with our old clunky corded drill! I love that you're the handy one! 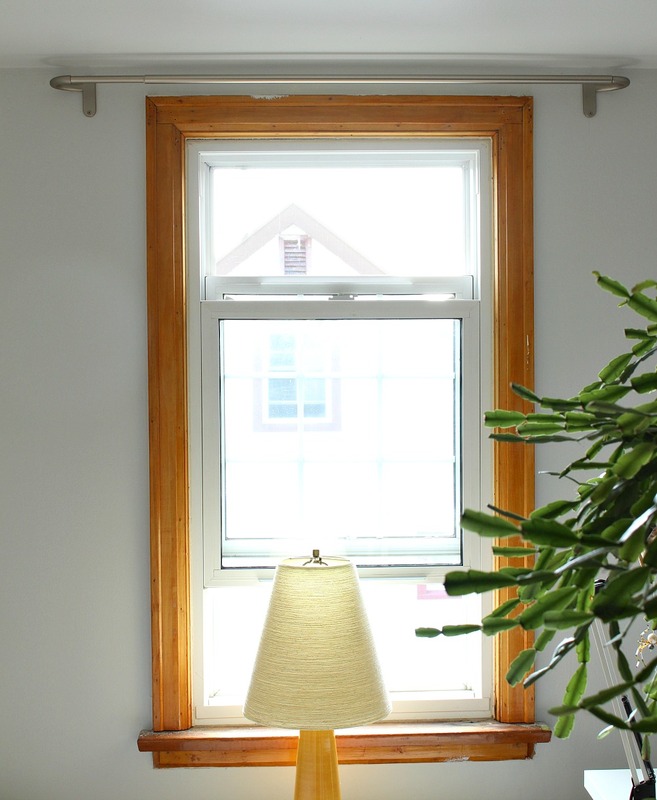 I just bought a second home and need to install curtains on all the windows. This would really help speed up the job. We moved into a new home within this past year and have all sorts of projects to tackle. Storage shelving in the basement, curtain rods, shelves in the kitchen, etc. Will there ever be a time without projects?? Perfect timing, we're moving into a new (our first) house in a couple weeks and one of my first planned projects is going to be some floating shelves! Congratulations!! That's such a great first project – it will really help you get organized and make the place feel like "yours". I want to make a pergola in our back yard, this would help a ton! Congrats, Amy – you're the lucky winner! I'll be sending you an email soon to get your address so Black+Decker can ship your prize! So cool! I'd love to use the circular saw to get more into making our own furniture, so this would be a perfect pairing! I would fix up the shed. I hear! Mine is definitely leaning a lot to one side, lol. we just finished a fire pit in our back yard and I have been searching for bench plans – these would come in handy! I would work on my basement "bedroom"–it needs a lot of help! Basement bedrooms are often forgotten – so great you're tackling yours! Oh, I would so love to use both to build raised beds in my backyard. That's such a great project! I want to make some too, but I don't think I'll have time this year… I'll live vicariously through you, you'll have to let me know how they turn out! Love this! Getting ready to move so we would use this to hang all the new curtain rods and shelves. I've been trying to hang outdoor art, but my husbands poor drill is so old and *well-loved* that it just isn't up to the job. I would love to win this. Oh no, that's terrible! I feel awful I couldn't just give out 100 drills, lol. Hopefully I can snag another tool giveaway down the road, because so many reader need them! My husband is the handy one in our family, but I'm learning to refinish furniture and am running into issues with needing specific tools – a drill in particular. This would be an awesome win! It's so exciting that you're getting into furniture refinishing – that's my jam too! My whole house is a DIY in progress (though we're not really good with the progress…) so these would be a huge help with everything we need to do. Haha, I hear ya! Never enough hours in the day, right? I've always been a little nervous around power tools but am determined to overcome that. One of the dilemmas for me is the how heavy they can be. I'd love to try this lighter one! Gosh, it's SO light! I'm feeling a little givers-remorse, lol, because our own drill is quite a bit heavier. It's an arm workout, I say! You have a ton of projects on the go! So great! I would do the same as you and pass it along to my dad 🙂 he's always helping us out and they're finishing up a kitchen reno so it would be a win-win! My husband keeps all of his tools at his shop. I've been thinking of buying my own drill – this would be perfect! Definitely buy a few of your own! I used to have my own toolbox and it was super handy to have before Hubby and I consolidated our stuff. Stuff really piles up in garages, doesn't it? We keep adding shelves but it's never enough! So exciting! I'd love to see! The drill would be perfect for installing curtains and blinds, which I so haven't done yet. And my squeeze always has a project going, so the circular would come in really handy. Somehow curtains and blinds get left behind with DIYers. 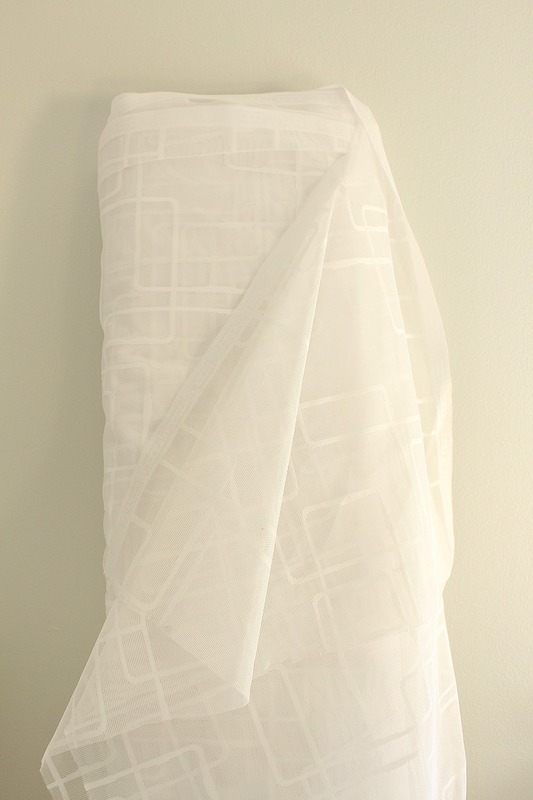 I finally finished some office curtains with my Mom – I only bought the fabric a year ago! Amazing giveaway! I would build a dining table for my family! I would not ordinarily look twice at a small drill, but getting into small places is exactly what I end up cursing. 20 Volts must give a good deal of torque, and so I agree with your Dad – and would like to add that great things come in small packages !! Yes! My drill is larger but still cordless and sometimes it's just a bit tricky to maneuver into tight spots. At least I have a smaller one to borrow now, haha. New counters at my coffee booth at the Farmer's Market. We have a very old cordless drill that just doesn't hold its charge, so a new one would be AWESOME! I have a huge to-build list… high up is toy storage/bench for under the front windows in our house. Thanks for giving us this chance to win. Your bench sounds like such a clever project! My old 12V Black & Decker Cordless Firestorm Drill/Saw/Router, which I've love love love(d) since 2008 because it's smaller for my short fingers– just kicked the bucket this past weekend… mid-project! I've stopped the project to shop for a replacement, but I just haven't found anything yet. This would be perfect! A cordless drill would be sooooo wonderful. And that saw is just sweet. I run Ohm Base Makerspace in the Waverley library. We would use the drill to help teach our "nerf modification" class this year, which will teach kids how to safely use power tools by having them drill out the air restrictor in a nerf gun. We'd use the circular saw as part of the MAME cabinet project. A mame cabinet is building a computer into an upright case to replicate one of the old school video games, only since it's a computer, you can put dozens of games on it. That's such a great program for kids! I hope you're able to tackle a few small projects and make your house more homey this summer! My boyfriend needs a drill for his new job, and we're two broke college students! Help us please! Oh no! I wish I could have done an Oprah and just given everyone a drill and saw! The universe didn't have it in the cards for you and a random number generator chose another entry. But congratulations for the BF on his new job – I hope he's able to track down a drill! Awsome drill, though curiously for a 20v drill it's not fitted with a two speed selector. Nice though, looks high quality, black&decker has continuously improved the quality of their products over time. I own a corded drill which is 17 years old and still performing quite well. There's a two-speed as well.My Dad showed me his super old drill the other day – it's as old as me! Corded, clunky, still humming along (he used an attachment to mix a five gallon pail of paint). I love hearing about stuff that LASTS. Husband has promised me flower boxes for the cottage. He could even get them done this year with a new drill!!! Oh no! We'll have to find some other way to motivate him. Maybe I should start dreaming up bacon recipes? Cheesecake? I live in an old house, needing many repairs and upgrades. Also need to replace and move the curtain rods. These tools would make all the difference between a bad job and a wonderful job. Old houses are tricky – I'm so impressed you're taking on the challenge to repair and upgrade it! …doing the dollhouse renovation that I've hadn't had the chance to start with yet! So exciting! What a fun project! stay at home Grama of 4 grandgirls, would love love love this mini to teach them when we do crafts, etc., as well as tackling things on my own more!! Thank you! What an excellent giveaway! I would promptly get to work on a set of four, modern-styled Adirondack chairs for around our fire pit. Our corded circular saw has seen better days and is a bit of a beast- that cordless saw looks much easier to handle. I should have rigged the giveaway and made you make 8, lol. I need some for our firepit too, haha. Our group of do it yourselfers (all ladies) are getting together the latter part of July to build pet feeding stations to donate to our local Animal Shelter..the Black & Decker saw and drill would be perfect to cut and assemble our project! Thanks for the offer! Oh my goodness, that is the sweetest, kindest thing I've heard all day. You ladies are truly wonderful and reading this comment made my day! You might want to reach out to Black+Decker directly – if you post about this on Facebook or on the shelter's website, they might be willing to provide some tools. You never know! Oooh, what a handy giveaway – could soooo use both! I'm totally jealous of the winner, lol. OMG! What an amazing giveaway! I'm in it for the saw. As far as what projects I would tackle first, that would have to be the less fun, home maintenancy type projects (repairing my bird boxes, replacing the wood fence, fixing the front porch columns). Of course, I could also tackle that ever growing list of Pinterest projects too! We are currently having wood retaining walls installed in our front yard but we will have to finish off the railings, fence, privacy screen and gate. These would come in super handy for getting all the thicker posts cut and all the wood installed with outdoor screws! Wow, sounds like a big job! Ooo, new hardware is like jewelry for the house! This is a fabulous giveaway! Thanks for being so generous, I'm sure the winner will be so thankful! I love that you and your parents do so many projects together. It's clearly a source of joy and peace for you, and I'm sure for them too. If I won the drill, I would love to quickly update the window treatments and add shelving to the bedrooms in our house to help make the rooms feel more completed and comfortable. We definitely try to help each other out – when Hubby and I moved here, they cleared our snow and helped us unload the truck and paint. It's nice being back in the area so we can spend more time together.Window treatments and shelving sound great! I have always wanted to make TV trays for those rare moments when we eat in the living room. Now is as good a time as any to do it, and with the right tool I think I could pull it off. Ohhhh what a great giveaway. I need to do some wood siding replacement on my cabin. Would love to use these tools to do it! A cabin with wood siding? Sounds so idyllic! These tools would come in handy for all my house projects! I could use both of these tools for my kitchen renovation! I am painting my existing cabinets and building a new cabinet to hold the microwave. That's a great giveaway! Also, I love that fabric for the curtains. Me too! I'm excited to see the finished curtains – I'll be sure to share photos. I would get the glass shelves installed in our ensuite niche that have been waiting for a while. Projects that wait around are so frustrating – we need DIY helper robots, is what we need, lol. We've become handier every month in our first home, but there is always more to do! We would love to build our own outdoor table and benches to accommodate our growing family and enjoy our beautiful yard and deck on nice days. The circular saw would be ideal! Congrats on the new home!! Sounds like you have some fabulous projects planned. OMG I have been wanting a cordless drill for years ( I just recently recycled my plug in)! Instead of asking my husband (who has one), I would finish helping my son who is physically disabled and living independently with hanging his curtain rods, putting up a hook in the ceiling for a hanging plant, take down the TV mounted on his LR wall that needs to be moved and install a bottle opener in his kitchen to name a few of his spring cleaning chores! Some of these entries are just making me well up. You're such a kind and thoughtful person, helping your son make his place feel homey. I'm sorry I couldn't help you out. I wish I could have given everyone a pair of tools! What a wonderful review. I hope I win the drill, and I will give that to my husband – maybe Ithat will encourage him to do some work aorund the house tthis ummer ! Haha, sorry I couldn't help! What's his favorite dessert? Maybe I can develop a recipe that will be enticing enough, lol. I would use these two power tools for a project i have on my mind,it's to build a gazebo,fix a fence around the house,and build a storage system in the basement. Wow! You have so many great projects planned! Everything? Until I die? Because I hate my current drill and my husband's circular saw just died? Oh my gosh this would be amazing! We're just starting to get stuck into lots of DIY around our place and our lack of tools is really hampering our momentum. It makes it so much easier! We keep having to beg, borrow and steal a table saw and it really came back to bite us with our last project. Ugh. Curtains to put up, a media center to build, and a lot of new work to do on an old house… would be so useful to win these! thanks for the opportunity! You sound busy this summer! There are so many projects that a drill and saw would come in handy, I can't list just one! Oooo, fancy! I love it! We need to build a shed in the backyard! Not to mention the very long to-do list of other projects inside. I hear ya! Never ends, does it? What a great project – I'm jealous of how much storage you'll have! What a fun project to make together! I hope it turns our beautifully. Oh my gosh these tools would help with my furniture makeover projects. So useful! I would actually gift these to my husband so he can start on some honey do projects like adding some more cabinets to our kitchen so I can have a little baking area and a place to display my Pyrex! Hope your bench turns out perfectly! First home to myself! Ready for a bed, headboard, dog house, picnic table, coffee table. I'm ready to go crazy! Shelves are so handy in the garage – you can never have enough! What an awesome giveaway, you are so generous. I have always wants a variable speed drill, my current one is either off or fast lol. 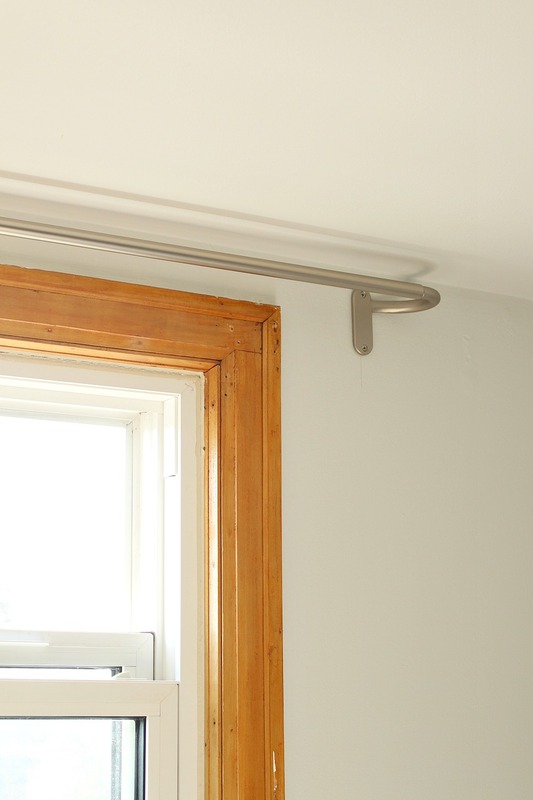 I think my first project would be to build a sliding shelf in my lower kitchen cabinet for all my casserole dishes with built in lid rack or to put together a tv stand with a gallery wall around/behind it. I'd love to see some of your designs! Are you on Pinterest or Instagram? I could certainly put that to good use! Your Texas friend! Too bad we don't live in the same city – I'd happily trade use of my tools for a little gardening 101, lol. I want to make floating shelves in my entryway first! So amazing! I have so many backyard makeover dreams! Both the drill and the saw would be great for my library project. I plan to replace my bookshelves with shelf standards to keep the room from feeling so closed in. 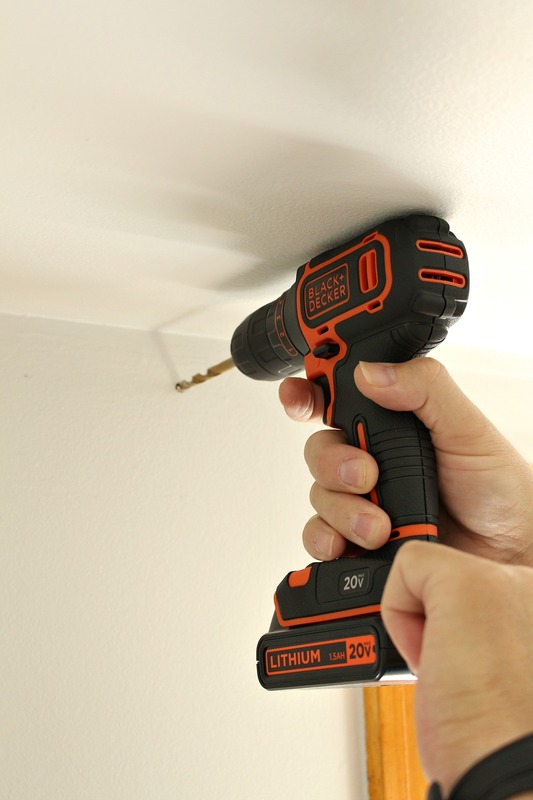 The drill is perfect for attaching the standards to the walls, and the saw for ripping the shelves to the right length. That sounds like such a fun project! Sounds like you're getting really organized this summer! driving deck screws is a challenge, sounds like this would be up for it! Driving deck screws? Yikes! Sounds like you have a big deck project on the horizon! Looks like I need a new drill! I have a Harry Potter hideaway under my stairs that I would love to turn into an open reading nook with shelves and a bench. This drill looks like it would be perfect to get into all those odd angles! I just bought a new house that needs lots of renos and this would come in handy! Ooo, that's a cool project! I'd love to see photos when you're done!